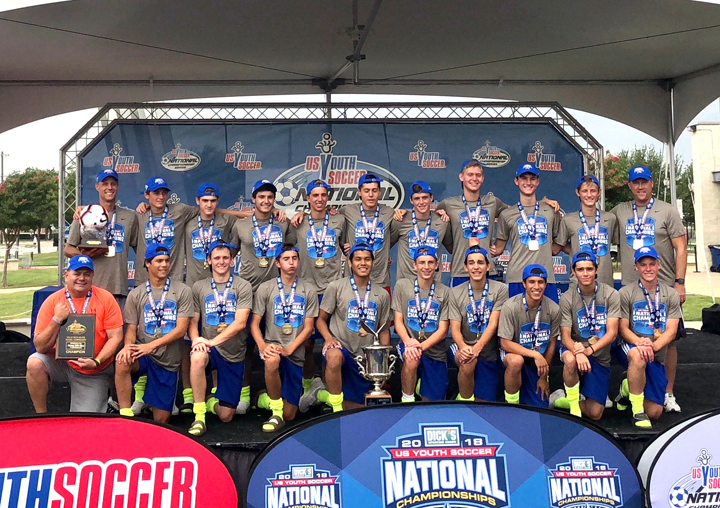 Galaxy 2001 Blue defeated the defending National Champion, Tampa Bay United (FL), 4-2 in overtime to claim the 17U Boys 2018 National Championship title. Earlier in the tournament, Tampa Bay defeated Galaxy, 3-1, in group play, but the championship matchup was a different game. Galaxy struck first in the 10th minute when a long throw-in was flicked on by a Galaxy player and Cameron Strang was there to volley the ball in at the near post. 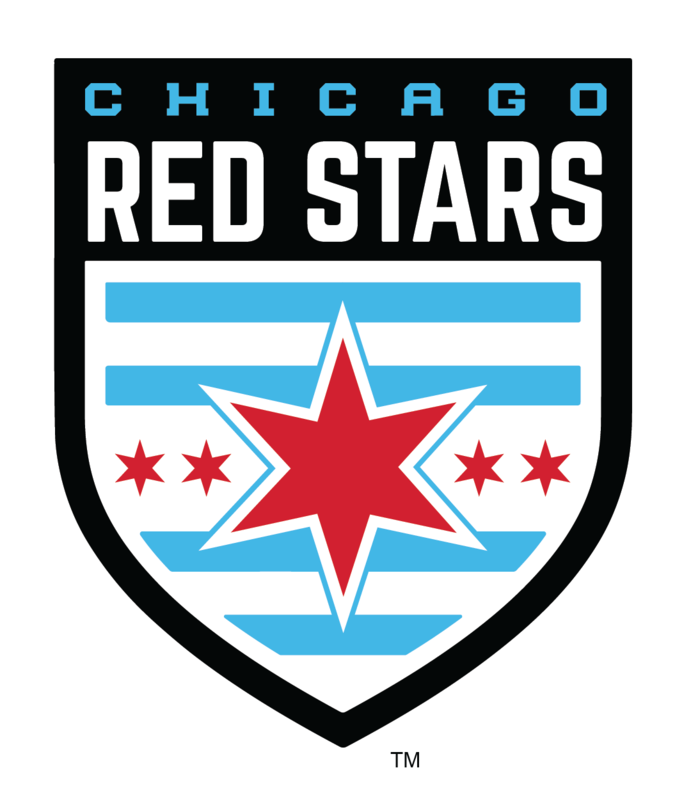 The Illinois side did not have a lot of time to enjoy the lead as Tampa Bay served a long diagonal ball for Trevor Stanley six minutes later, and Stanley brought the ball down for a left-footed shot into the top right corner. Tampa Bay took control of the game and stole the lead when Brennan Breuer sent a low driven shot from inside the 18-yard box. Just as Tampa Bay was about to win the game, in the 90th minute, the ball found its way to Galaxy's Kyle Blasingame in Tampa Bay's 18-yard box, and Blasingame took the open shot. Two minutes into the first overtime period, Galaxy regained the lead when the ball was played into the box, and Evan Lang was there to pass the ball into the goal. Galaxy sealed the win with a Nick Renfro goal as he redirected a corner kick into the net. 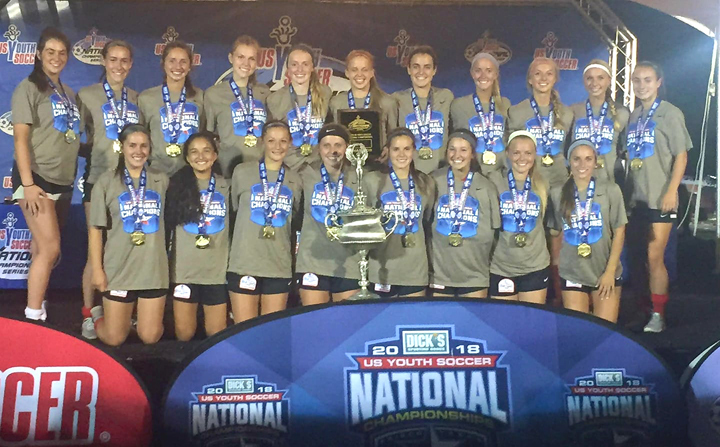 NSA Shock took a 2-0 victory over Utah FC 99 Black (UT) to claim the 19U Girls National Championship. With the two teams playing to a 1-1 draw on Thursday in group play, there had to be a clear winner on Saturday night. The Illinois side went up 1-0 in the 23rd minute as Erin Flynn took a corner kick, and although the ball was headed out, Flynn picked up the rebound and launched the ball at the goal for a far post finish. 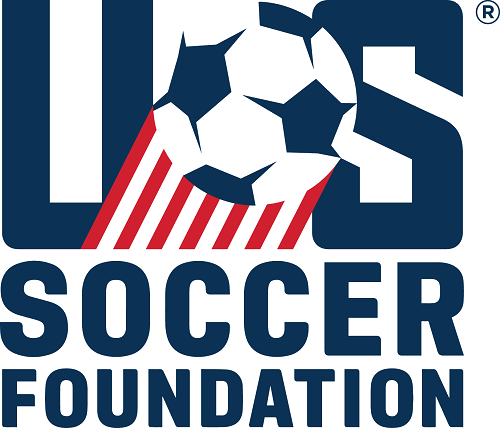 In the 37th minute, NSA earned some breathing room when an initial shot was blocked by the Utah FC goalkeeper, but in a crowded 18-yard box, Abby Swanson sent the ball into the goal. Utah FC came out of halftime with the determination to get back into the game, keeping the ball in NSA's defensive end for the majority of the half. Utah FC nearly cut into NSA's lead when the ball was laid off for an open shot at the goal, but NSA goalkeeper Isabella Alessio came off her line to block the ball and gain control of it. Alessio came up big in a few other instances, ultimately playing a huge role in NSA's shutout victory. "The last 20 minutes, we were just trying to hold together," Alessio said. "The center backs and I were trying to hold everything together. Everything was just going so fast. We just needed to slow it down." NSA ended up holding Utah FC off, and with the two goals, the Illinois side walked away with the National Championship. "Right now, I'm overwhelmed. I don't even know how to put it into words," Alessio said. "Everything goes to my teammates because without them, I'm back there struggling. They're keeping me up. They're keeping me going." For her stellar performance Alessio was named the Golden Glove winner as the tournament top Goalkeeper and was joined by teammates Katelynn Buescher, Shaina Dudas, Erin Flynn and Abby Swanson in the 19U Girls Best XI.